MX1 is now in an extended partnership with Discovery Deutschland, a TV and digital media broadcast station based in Munich, Germany, for fully managed playout and content management services. Under the terms of the contract extension, MX1 will continue to fully manage playout and media asset management tasks for Discovery Deutschland's SD and HD channels. 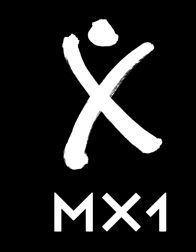 MX1, a wholly-owned subsidiary of SES (Euronext Paris and Luxembourg Stock Exchange: SESG), is a global media services provider that works with major media businesses to ensure it can appear on any device, anywhere in the world. The channels include TLC, DMAX, Animal Planet, Discovery Channel, and Shop 300 in Germany, as well as DMAX Austria in SD. Additionally, since January 1, 2019, a new channel, TLC Austria, is now distributed over SES's ASTRA 1N satellite at its prime orbital location of 19.2 degrees East, reaching over 118 million TV homes across Europe. Discovery Deutschland is using MX1 360, a unified media platform, to manage and deliver all linear and nonlinear content. Once the ready-to-air program files are delivered by Discovery, MX1 360 brings together the full range of media services, enabling the broadcaster to manage and deliver their content from a single interface to any broadcast, platform. Alberto Horta, deputy general manager, GSA, of Discovery Deutschland said that their playout operations are very complex, especially with regards to demanding graphics and commercial requests. With MX1, they have a reliable partner that offers the quality and service level they need to ensure smooth playout operations and content management for all of their channels, including the all-new TLC Austria channel in Austria. Christoph Mühleib, managing director, Astra Deutschland, responsible for marketing and sales of Astra and MX1 in Germany, Austria, and Switzerlandadded that they are pleased to have gained the trust and continued business of Discovery Deutschland. By choosing Astra as its service partner for seven channels and trusting them to deliver the new TLC Austria channel via Astra satellite in Austria, Discovery Deutschland provides further validation to the exceptional reach, playout, and content management services they provide.